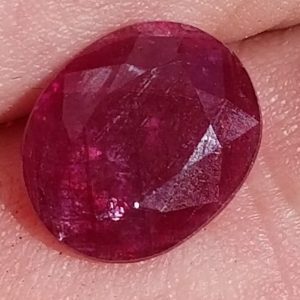 Ruby is the #1 selling colored stone in the world and ruby with fine color greater than 1/2 a carat are extremely rare & expensive, that’s why we were so lucky to have found these. 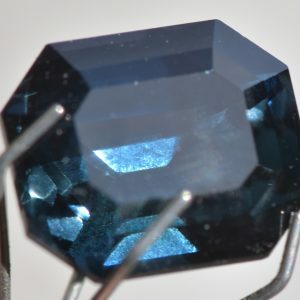 Mined from a new mining site in India. They look more like ruby from Burma, or Mozambique as they posess that internal fire, that fine ruby are known for. 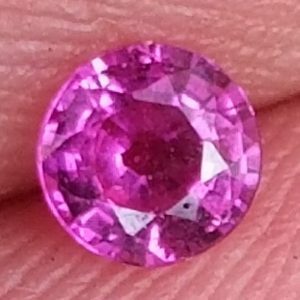 With a stunning wine red color and SI1 clarity, this ruby is unheated and clarity enhanced.